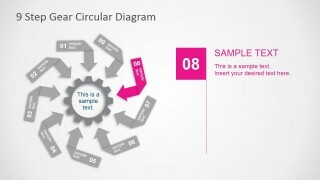 With the use of the 9 Steps Gear Circular Diagram PowerPoint Template, the presenter can show the elements of any type of business process. It utilizes creative origami-inspired arrows and a gear clipart to represent a process cycle. The template does this by making use of the working concept of the gear mechanism. A working gear, or a bearing, is commonly associated with industrial mechanical processes. They connect important machinery and provide the leverage and energy which moves the key parts of the machine. Without gears, the machines would merely be expensive and intricate pieces of metal. The gears are integral in their movements, moving the process along. 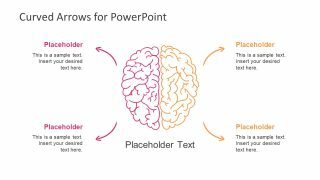 In some way, the same concept can be used in the PowerPoint presentation. 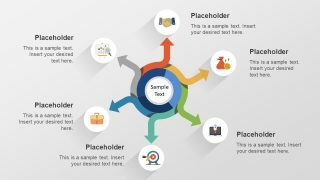 The user can emphasize the importance of each part of the process. 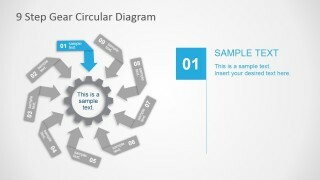 It can be made to show that every step is key in completing the process, that with a missing piece, the entire procedure would probably break down. 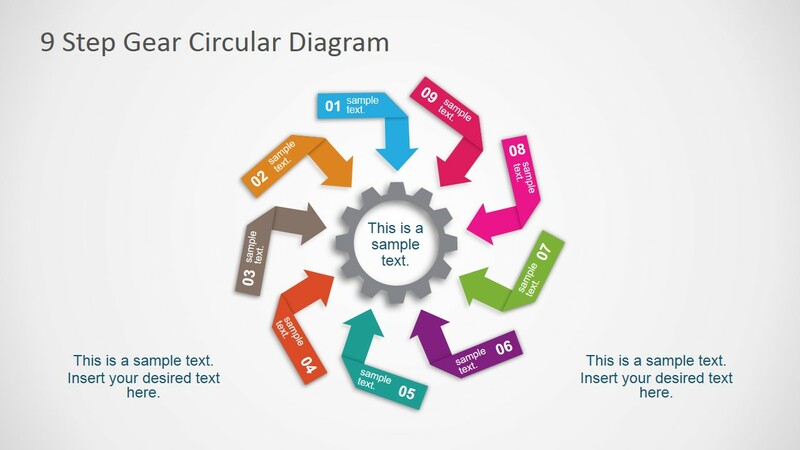 Using this, the template can be used most effectively in business plans. By showing each phase through the presentation, management would be able to gain a better understanding of the significance of the operation and the processes gone through to ensure an effective and efficient run. The user can also use the arrows to show the sequence in which certain procedures enter the process. Thus, management is given a brief overview of the state of the products, services, or procedure, as it is processed by company employees. The 9 Steps Gear Circular Diagram PowerPoint Template is both trendy and artistic, specifically designed to gain audience attention through its retro presentation. 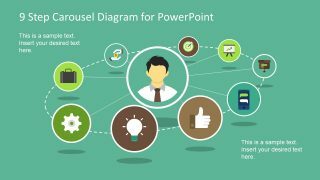 The clipart and the placeholders are created as PowerPoint objects. 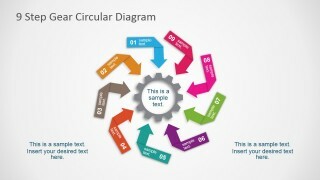 This allows the presenter to tailor each part to his/her specific needs. 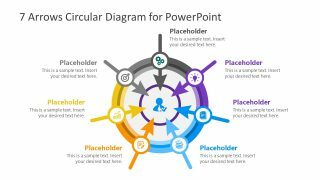 The presenter can also opt to download other PowerPoint presentation from the Gallery, such as the 11 Steps Circular PowerPoint Diagram.